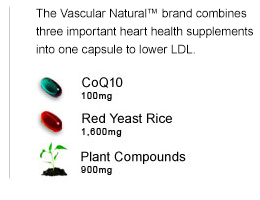 Vascure Natural™ brand supplements support heart health without the side effects of medication. BP Formula: 5 ingredients, 1 capsule. 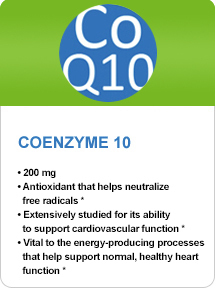 Supports healthy blood pressure levels. 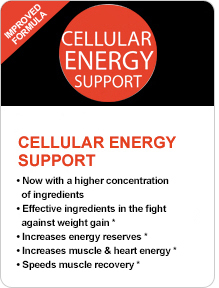 Cellular Energy Support: Helps increase energy, lower cholesterol, control weight gain, increase muscle relaxation and decrease fatigue. Try Vascure Natural™ for 3 months. Then, tell us your story! Listen to what the experts have to say regarding the four fundamental nutrients involved in the body's production of Cellular Energy Support. Vascure Natural™ BP Formula heart health supplement is simpler in that just one capsule accomplishes what it currently takes five capsules to do. There is no longer a need to buy 5 different supplements to help maintain blood pressure levels because Vascure Natural™ brand is engineered to provide optimum strength support for the heart with all five ingredients combined into one. 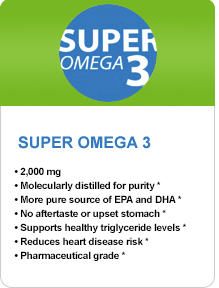 It's a much simpler approach to maintain healthy blood pressure levels and improving overall heart health! Those who are simply concerned with their heart health. Those with a family history of slightly elevated blood pressure. Those who suffer side effects of medications. * adding Vascure Natural™ BP Formula to your existing blood pressure medications. The product is Patent-Pending and backed with a 100% Satisfaction Guarantee. 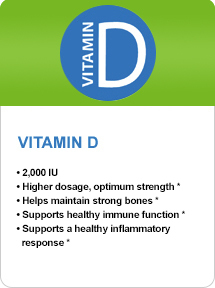 Dr. Scott Eisenberg DO, FACC, board-certified in Cardiology, Lipidology, & Anti-Aging medicine, endorses Vascure Natural™ BP Formula because the cardio support supplements contain powerful antioxidants that support a healthy inflammatory response*, reduce free radical damage*, and promote arterial integrity*. Dr. Eisenberg is currently enrolling patients in the blood pressure clinical trials.